Sunday, March 17 is the NYC Half Marathon, a race that I have proclaimed as my favorite! 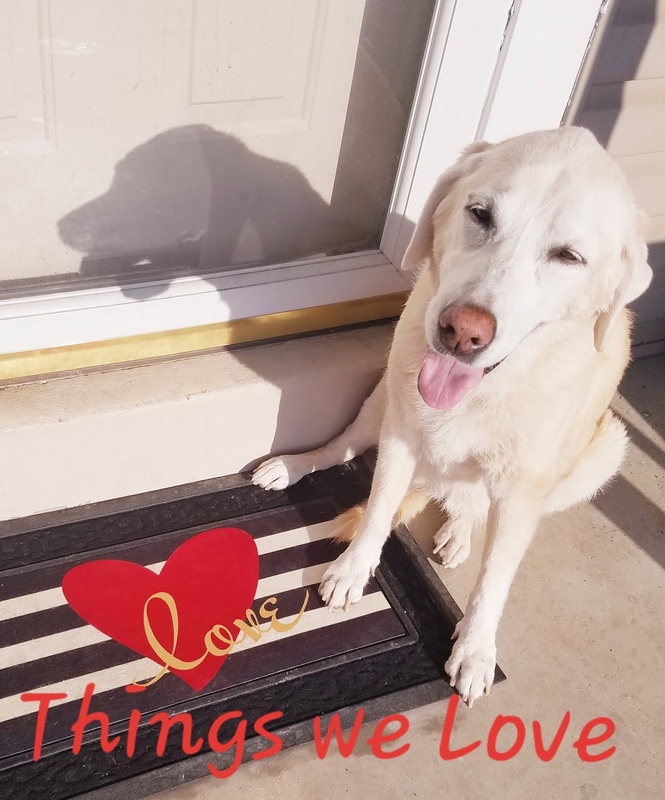 I am not writing this post to relive that experience yet again, I am writing to share with you that on this day LABRADOR RETRIEVERS will be running this race! I wanted to do another February Favorites post, however time got away from me and I did not get to finish it. 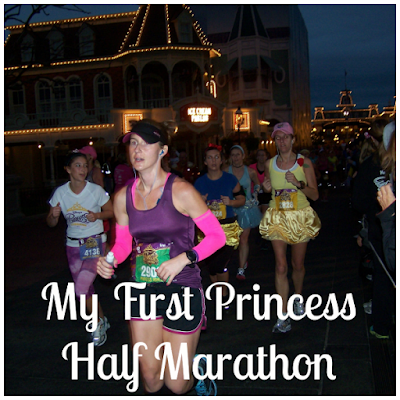 However, since this month is Princess Half Marathon month I thought I would share our first experience with that race. The day prior (Saturday) we had to get up early for the 5k and this day we had to get up by 3:30 am again. 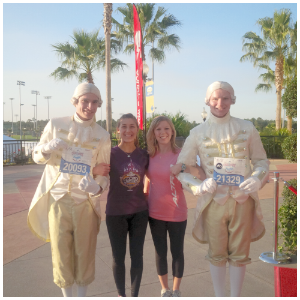 These were the days before the Glass Slipper Challenge and the 10K. 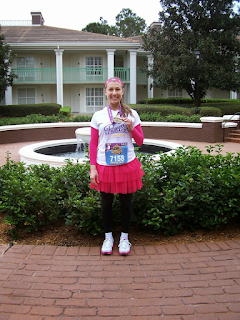 This was my sister's first Disney Half marathon. I think I was just as excited as she was even though I was only going to be a spectator. 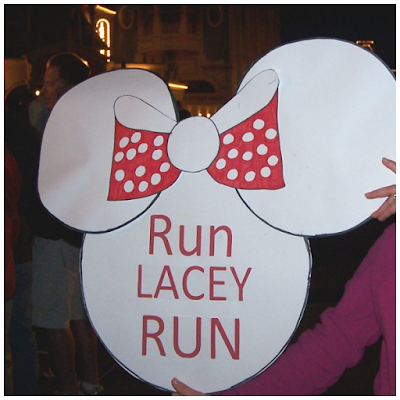 I grabbed my “designer” sign that I made for my sister Lacey and we all headed for the “event” bus at our resort. I have since learned to make signs that are much easier to pack and transport. on the plane, but it didn’t seem to be a problem. ( in reality, the tape dispenser that I brought with me had a sharper edge on it than the stapler). We got off the bus and walked my sister half way through the parking lot at Epcot and then decided it was more important for us to watch her run through the Magic Kingdom than it would be for us to watch her at the starting line (which we probably wouldn’t be able to see her anyway). We waited in line for the monorail to start operating. We were amongst the first groups of people to arrive at the Magic Kingdom. We all ran in with our signs like we were the ones in the race! The cast members were happy to see us. They were waving with their white Mickey glove hands and many of them commented or gave me a thumbs up on my sign! As we entered, the castle was glowing and the music was playing. I started to get teary eyed just knowing that we were allowed in the MK in the wee hours of the morning (us and several hundred other people, but still it felt like such a secret magical experience). I have to admit that I didn’t get as good of pictures of my sister running through the MK as I hoped I would. Fortunately, my sister is a fast runner, but unfortunately that means that when she runs through the Magic Kingdom and the castle it is still dark out. Because we were some of the first people in MK, I could have got closer to the castle, but I opted to stay on Main Street at first, just in case I missed her. They had a space roped off in front of the castle, so you couldn’t get that close, but I found that a good spot was on the bridge on the left hand side as the runners are running out of the castle. After their runner came through the MK, many spectators went to other sighting points but we decided to go straight to the finish line and wait there. The finish line was back at Epcot, so we got back on the monorail. We signed up for Runner tracking, so this helpful in letting us know when to get our cameras ready! Her goal was to finish in less than 2 hours . I was so proud of her for meeting that goal! For the month of February, we hope to share some of the items we’re loving lately. My first item that I am loving probably comes as no surprise to those who know me. It actually started off as a Christmas present but shipping took longer than expected and I didn’t end up getting it until January. But it was worth the wait. I sent Scott a few photos of Baylee that I thought would work well. He chose one as a surprise and sent it in. Christmas came and went and to be honest, I actually forgot about the ring. The ring finally showed up in January. 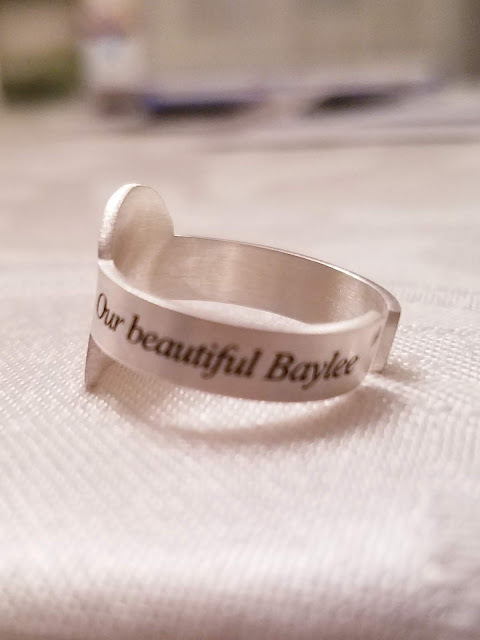 For such an inexpensive piece of jewelry, I couldn’t believe how well it turned out. The picture looks just like Baylee. Well, it actually IS her, so it should look like her. I mean, I am just so impressed with all the detail. It fits perfectly and as a added surprise Scott had a little inscription engraved on it. 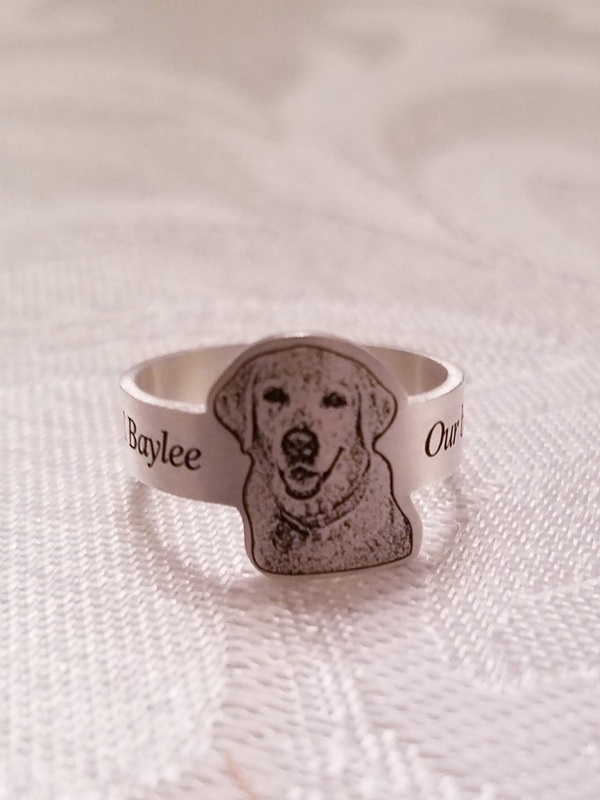 On the sides it says, Our Beautiful Baylee. So some people may think this is a little hokey, but this seriously may be my favorite piece of jewelry ( and I have a lot). This ring is even extra special considering the health scare we had with our Baylee last month. I seriously thought we were nearing the end but we got the situation cleared up and hopefully God lets us keep her around for many more years. You are more places than you think. 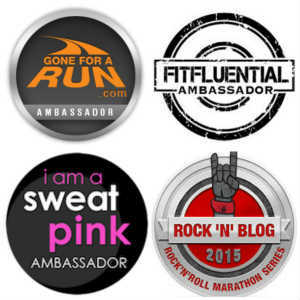 When we first started our blog, we also started other social media accounts to follow. First there was a facebook page Fairytales and Fitness and then there was twitter @Fairytalesnfit, (because our full name was too many characters) and finally Instagram @Fairytalesnfit. I think that is enough and I don't plan on engaging on any other platforms.